Herbal “teas,” also known as tisanes and herbal infusions, come in many forms, and are cultivated in different parts of the world. They can contain varying amounts of dried leaves, pieces of fruit, grasses, flowers, spices, seeds and other botanical elements which give them their unique aroma and flavor. They are not made from the Camellia sinensis, as all “regular” teas are, and typically include ingredients such as: allspice, chamomile, chrysanthemum, cinnamon, ginger, fennel, peppermint, as well as a host of other additives aimed at relaxation and remedy for various ailments. It helps in some cases to know if you have any allergies to certain herbal tisane/infusion ingredients, and if possible, to check with a health practitioner in order to find out what herbal infusions will work best with your body chemistry. 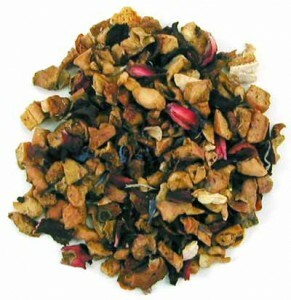 Most people, however, are able to enjoy most herbal infusions without complications, and with much benefit. Tea is probably the most popular beverage in the world, overall, and continues to only grow in popularity. Herbal tisanes — although, ironically, not technically a tea drink — are also hugely popular the world over, and hailed by many health practitioners and lay people alike for their calming, remedial effects. Herbal tisanes’ relatively low caffeine, infusion of many botanical elements, availability, affordability, variety, and beneficial effects on body, mind and spirit make them a favorite beverage among millions, if not billions the world over. It’s amazing the supply is able to keep up with demand, but herbal tisanes show no signs whatsoever of giving way to coffee or fruit juice or mineral water, and thank goodness – the richness and variety to be found here really has no rival in the world of non-alcoholic beverages.